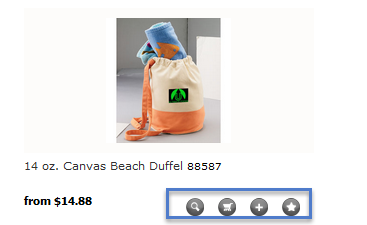 Step 2: You can allow your customer to upload artwork for the order. Payment Methods available are - On Account, Credit Card, and Pay On Collection. You can select multiple payment methods if you choose. Step 3: Choose On Account if you want customers to be able to order without instant payment. Then complete your Country and other selections. Step 4: Choose Credit Card, and then choose your Payment Service Provider. STORE is currently integrated with PayPal and Authorize.net. Processing credit cards through a PSP ensures that your checkout process is PCI Compliant, and your clients' data is secure. Step 5: Depending on which Payment Service Provider you choose, you'll need to complete your account details. Please note that in the case of Authorize.net, 'Capture' allows you to take payment for an order at a later date, where as 'Authorization' will take immediate payment. Step 6: If you choose Payment on Collection, your customer will see this option at the checkout. This is principally designed for distributors with a bricks and mortar store. Step 7: Choosing any of the Payment Methods will add the 'Shopping Basket' icon to your website.